Just a quick little card from from scraps to show you today. I used Spellbinders circles for the focal image. 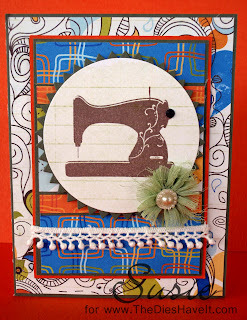 That little sewing machine is from a set by MFT Stamps. 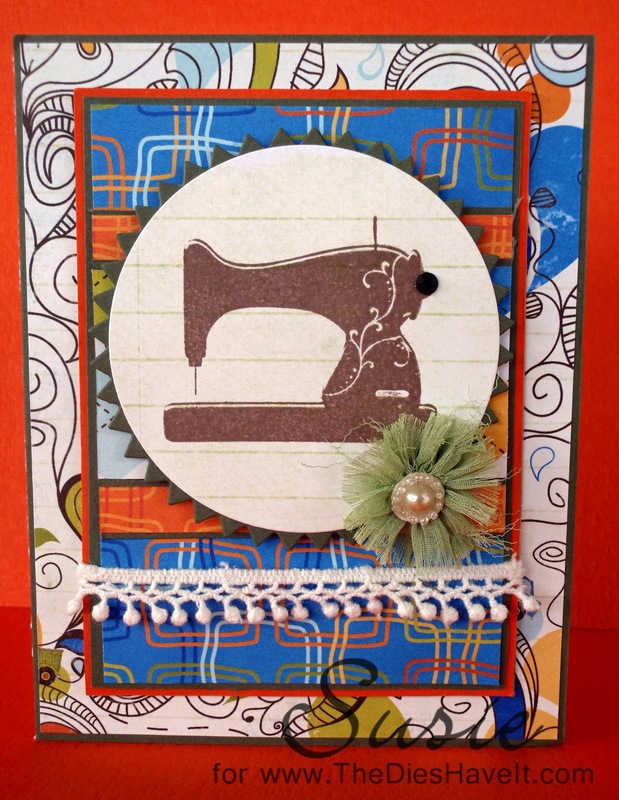 Mixing and matching scraps is a really fun way to make cards. I don't usually do it that way...because more often than not, I am starting with a card, not ending with one. So when I have scraps, I really like to make cards with them. I wonder if you do that too? Get ready for a lot of fun inspiration for St. Patty's Day from the Joy's life designers and the amazing Joy's Life Stamps. Be sure to join me right here on March 17 for a great blog hop. All the designers will be participating and you will see LOTS of crafting inspiration from these gals. I hope you will join us. Have a great crafty day!